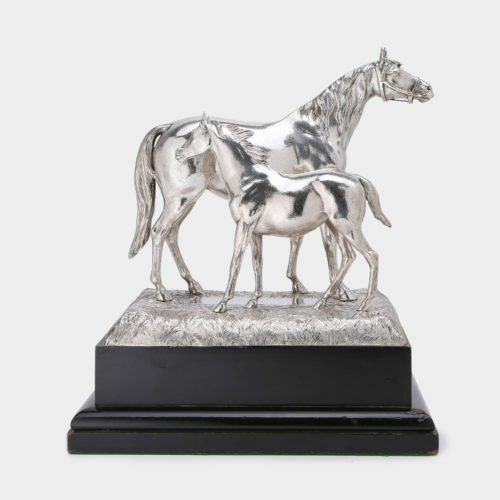 Silver sculpture of a mare and her foal, made by Goldsmiths & Silversmiths Company of London in 1938. Canteen of Rattail pattern cutlery for 12 made by George Jackson & David Fullerton of London, c.1900. 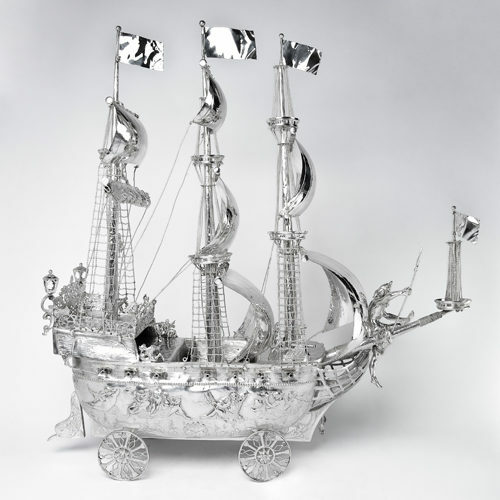 Large silver nef made by Berthold Muller, bearing English import hallmarks for Chester, 1900. 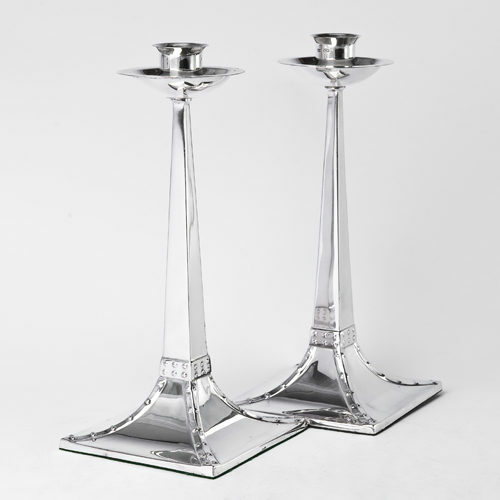 Pair of silver Arts & Crafts style candlesticks by James Dixon of Sheffield in 1904. 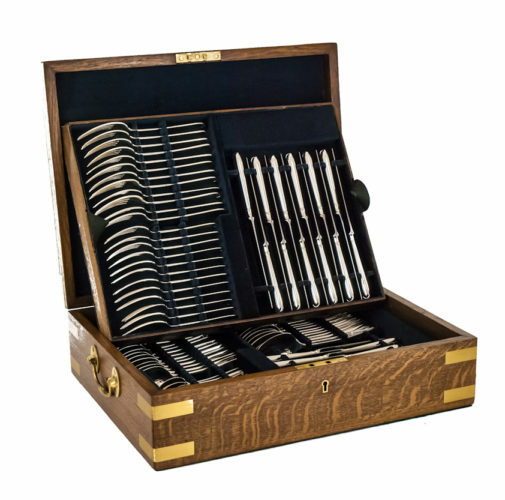 Adam & Joel Langford are third generation specialists dealing in fine silverware from early Georgian to contemporary pieces, including cutlery, candlesticks and collectibles.